This is a fluid-based illuminator/illuminiser for pale skins (I also have it in Topaz for darker skins). Although I'm probably a little obsessed with illuminators and have about two dozen that I use for different purposes, this one is one of the nicer ones. Pearl has a white-silver sheen with a barely perceptible shimmer, but no chunky frost or glitter, and as with all illuminators, can be used on its own either over or under foundation, or mixed in with moisturiser or base products (CC cream, foundation, etc) to impart a glow to the skin. This helps fake younger, or more rested, or healthy glowing skin - who doesn't want that! It layers slightly, and at full wattage can look a little bit metallic, but can be used more subtly also. 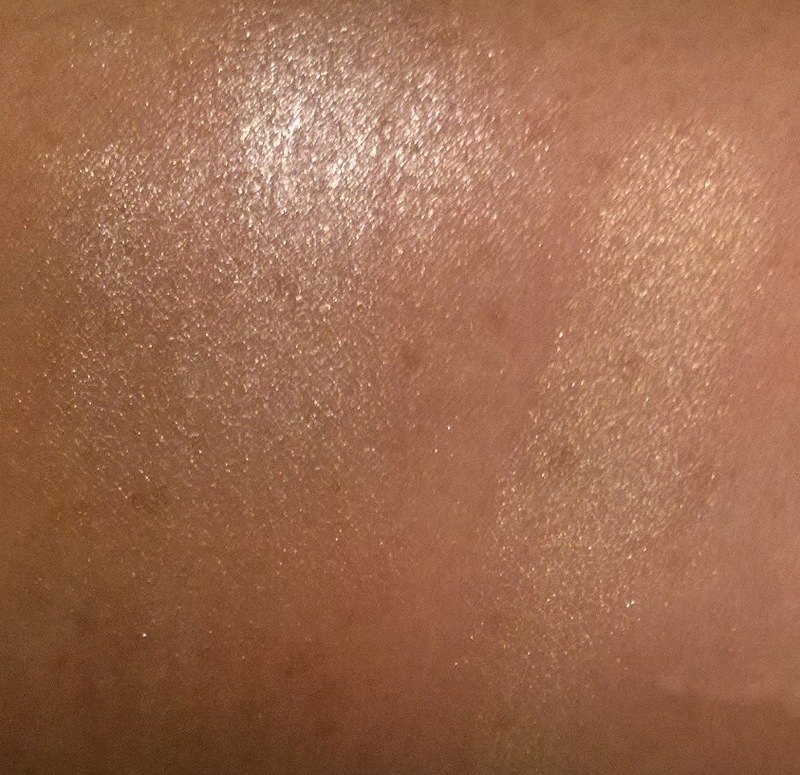 Obvious comparison products in this shade range are MAC Strobe Cream/Liquid and Illamasqua Gleam Cream (ie the original tube, sadly now discontinued, not the new cream palette). However the MAC option is more pinky-silver and the Illamasqua is more opalescent-pink, whereas Becca's Pearl is more of a white-silver. 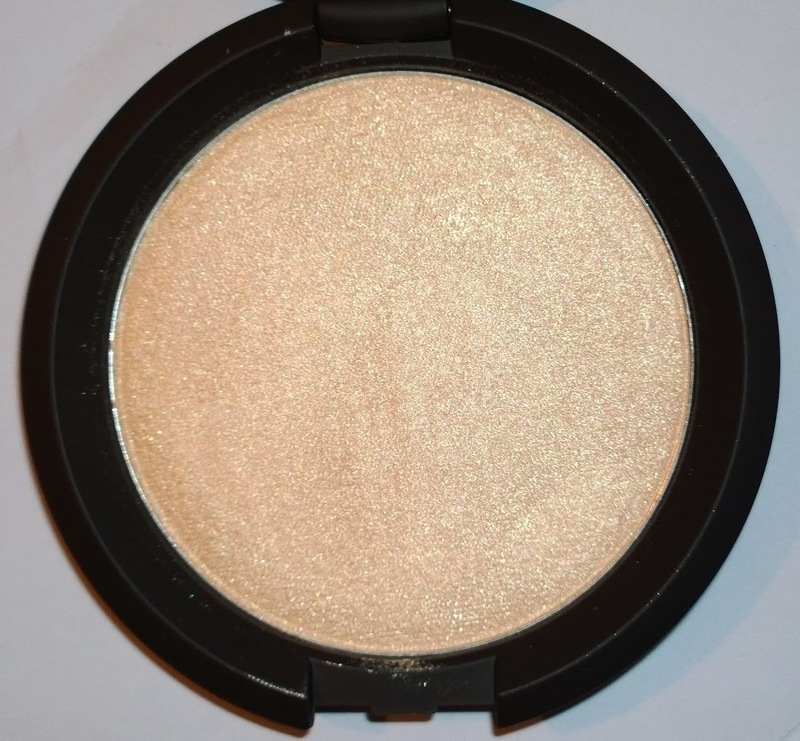 This contains SPF25+, which seems a little odd, but perhaps this is for MUAs to ensure it reflects under flash photography to take advantage of it as a targeted highlighter? Either way - highly recommended as a highlighter or an illuminator for anyone who is looking a bit tired, grey, under the weather, as an instant cosmetic skin pick-me-up. This is now available in four shades - Opal, Moonstone, Pearl (now called White Pearl I believe) and Topaz (swatch below with Moonstone). This is around €40 for 50ml - illuminators last forever and ever and ever as you really only use a tiny amount; if I were to recommend an illuminator or a highlighter, I'd recommend the former as you can use it for both purposes (that's not to say you have to spend this kind of money on one, but Becca is one of the nicer ones out there). 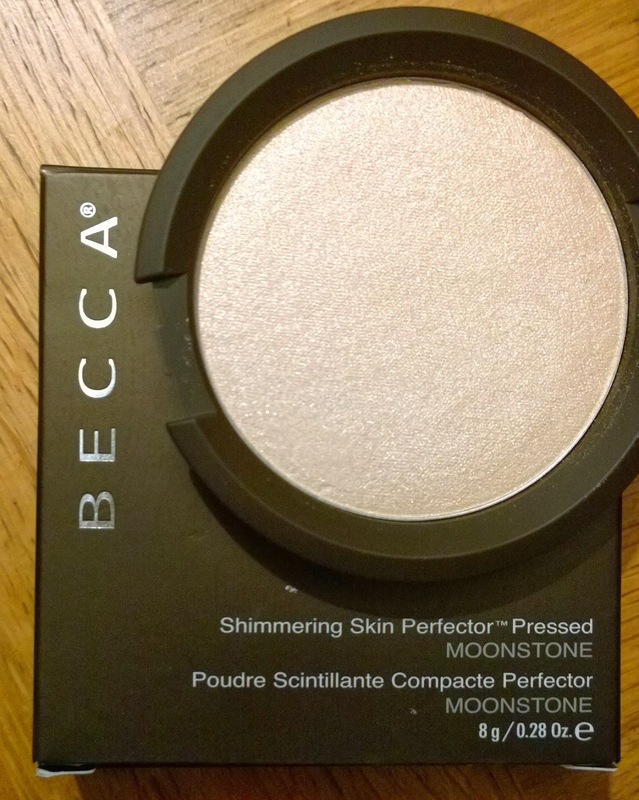 This is a relatively new product from Becca, recently released as a "sequel" to the liquid Illuminator. I purchased in Space NK in Belfast where the SA told me that it was a match to the Pearl illuminator. It is not, and it was annoying to be told this. There's no powder equivalent of the Pearl/White Pearl illuminator as it transpires (although there is now a liquid analogue of the Moonstone powder as it happens). Annoying, as I'm not comparing like-with-like, but onwards. Moonstone is the lightest of the powder shades available and is a slightly warmed-up gorgeous pale champagne gold shade. It makes sense I guess that the lightest powder has some warmth in it, as a silvery-white powder-based highlighter would look a little bit unnatural I think. I like this a lot - mind you, I have about four dozen highlighters (cream, pressed powder, loose powder, cream-to-powder, pigments... yeah, I have a problem), and I love them all. Ingredients-wise, this is a pressed powder/talc-based product suspended in liquid. It does contain titanium dioxide, so likely will flash-back in flash photography. I think as far as I recall this cost me £30 in the UK (I expect it is around the €40 in Ireland). Both of these products can be used on the face or body, the main difference is that an illuminator can be used as a base product or mixed with other liquid products as well as a finishing/targetted product, whereas a highlighter is just used on specific target areas. Personally, I love to use both illuminators and highlighters. I like to use illuminator mixed in with foundation/primer/moisturiser on the centre of my cheeks, up and out past my cheekbones to fake a healthy glow, On my collarbones, shoulders, down the centre of my arms and shins to create illusion of slimmer physique (it works!). Highlighter for me goes down the centre of my nose - from the bridge to mid-way only (who wants a shiny nose tip! ), on the tops of my cheekbones, on my cupid's bow (makes your upper lip look slightly bigger), and on my inner eyes/tear duct areas (makes your eyes look open and alert). A friend of mine, over the Christmas break, when I was on Illness Number Two and feeling absolutely lousy, told me that I looked brilliant. She was a bit surprised I think when I told her that it was down to two correctors, a concealer, a blurring primer, two different illuminators and a highlighter. Seven products designed to look like I was wearing none, but looking healthy and not wretched as I was at the time. In other words, makeup works!! !